Hello Everyone! So I changed my blog name... O_o Lol I've been thinking about changing my blog name for a while now. I just didn't like the names that I've been coming up with. I wanted to make sure that whatever name I choose is a name that I'm still going to love a year from now. Who came up with the name? My wonderful Sew-Sister, Coco of Needle Thread and a Prayer, came us with the name.. I knew that my blog is mainly about Fashion Sewing and Styling, so I wanted a name that combines both of my interest. I came up with Sew Styling, Sew Styler, and Sew Stylish. I presented my ideas to a few of my sew-sisters and "#thebae", they loved it but then Coco said, "What about Sew Urbane?". And of course I loved it. It's Different, it's Unique, and it represents everything that my blog is about. Thanks Coco! How did I change my name and re-brand myself and still stay connected to my supportive readers/followers? Thanks to Ola aka "#thebae", Olumaechi Fotos, he did it all. Of course, I was able to change my other social media site names all by myself (except Facebook -- They wanted me to show a utility bill with Sew Urbane on it before I can change my Page name. Smh). 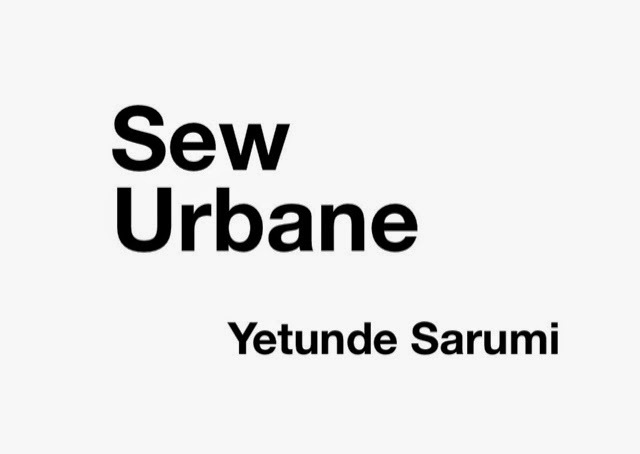 Ola changed my website address but the problem was that my readers were not be able to find my new blog because my old blog address, www.yetundesarumi.com, was no longer in use and everything I ever linked back to my old blog address were being redirected to the a site that was shut down. Anyway, long story short, Ola did his magic and now my old and new (SewUrbane.com) web addresses are connected. Thanks Ola! Where else can you find me? I mostly hang out on Instagram, but you can also follow me on Facebook, Twitter, Pinterest, and Tumblr. Hope that explains it all, for those that have been asking.. As always, thanks for stopping by.